All gifts are tax-deductible as prescribed by law. University of California, Berkeley is recognized as a tax-exempt organization by Revenue Canada (Tax ID 154146). Hong Kong taxpayers may make donations in Hong Kong dollars or U.S. dollars via the University of California Foundation Limited in Hong Kong. Contributions will be tax deductible as provided for under Section 88 of the Hong Kong Inland Revenue Ordinance. The University of California Foundation Limited will collect your contributions and forward them to UC Berkeley. Click here for Hong Kong remittance information. British and U.S. taxpayers may make donations in pounds sterling to UC Berkeley via the University of California Trust (UK) in London - registered British Charity No. 1075405. Additionally, the University of California Trust (UK) can collect Gift Aid on your behalf and forward it to UC Berkeley. Click here for Gift Aid form. Donors who have tax liabilities in the UK and the US can give to UC Berkeley via the CAF American Donor Fund for dual US/UK taxpayers. Trading as Southampton Row Trust Ltd., the CAF American Donor Fund allows US citizens living in the United Kingdom to receive tax benefits in both countries for their international contributions. For more information on donations from the UK, contact Matthew Daines, Programme Director, UK Trust, at matthewdaines@californiahouse.org.uk or +44 (0)20 7079 0567. If you are a European taxpayer you may give to UC Berkeley via Transnational Giving Europe (TGE), which currently covers 13 countries. Donors may make a gift to the national TGE partner which will transfer the gift to Charities Aid Foundation (CAF) in London and provide all the national fiscal advantages to the donor. 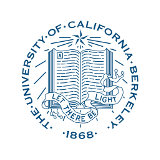 CAF will then forward your gift to UC Berkeley with the assistance of the University of California Trust (UK). For more information on international giving, please contact us at intl@berkeley.edu or +1 510 642 9239.